Our vision is to create a self-reproducing Khmer church planting movement in rural and metro Cambodia. We ask that interested churches walk along side us (friendship), visit the country (taste), and open their hearts to the Khmer people (participate). We understand that churches have different budgets towards missions. With that in mind, we've kept the minimum financial requirement to $100 per month. All of our resources are poured out in a very intentional way, as we seek to only do what the Father is doing. All of our churches in Cambodia are indigenously led. Our focus for the past two years has been to raise up more indigenous leaders and to resource families with economic opportunities. Cambodia is a Southeast Asian nation whose landscape spans low-lying plains, the Mekong Delta, mountains and Gulf of Thailand coastline. Its busy capital, Phnom Penh, is home to the art deco Central Market, glittering Royal Palace and the National Museum's historical and archaeological exhibits. Cambodia has experienced strong economic growth over the last decade. The tourism, garment, construction and real estate, and agriculture sectors accounted for the bulk of growth. Around 600,000 people, the majority of whom are women, are employed in the garment and footwear sector. An additional 500,000 Cambodians are employed in the tourism sector, and a further 50,000 people in construction. Monira gave her life to Lord at the young age of 12. Her prayer was simple, "Lord, I'm gonna live my life to serve you, help me to do so." She has since then been involved in various areas of ministry in her local church. She loves playing musical instruments, volleyball, and board games. She is a pediatric nurse, is married to "Spock" and has two miniature pinschers she likes to call "double-trouble." 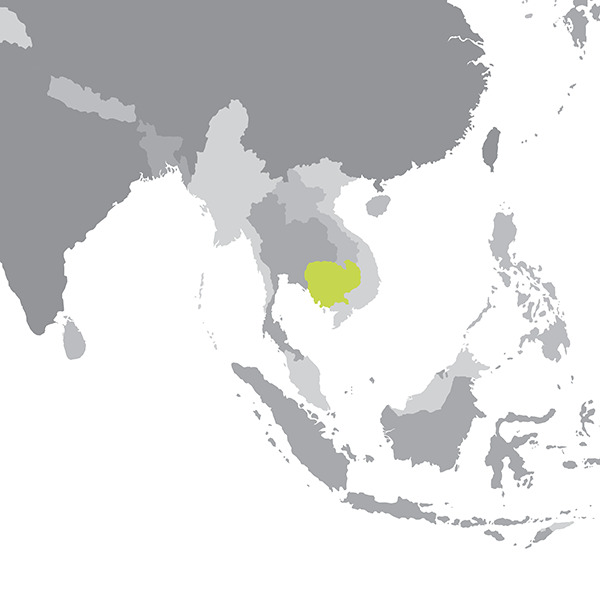 Pray for job creation, Khmer educational and biblical resources, and against Human Trafficking. Consider joining our partnership by clicking the link atop this page. Together we can impact Cambodia for generations to come.